Delish! What’s more wholesome and belly-filling than a piping hot bowl of oatmeal first thing in the morning? Indeed, oatmeal is healthful, hearty, and makes kids happy. They love to swirl in some milk and enjoy it by the spoonful. But what if a basic bowl of oats can be taken up a notch with mix-ins that make it even better than before? 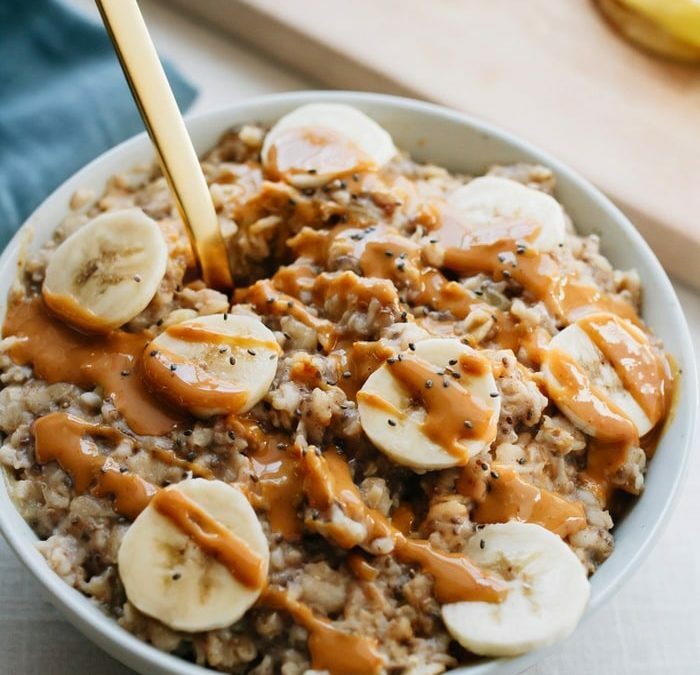 With some amazing additions, a plain bowl of oatmeal can be outrageous. Your kids already love it as is, so imagine how thrilled they’ll be when their bowls get a boost. Here are three ways to add some “oomph” to oatmeal. Unique and unbelievable, these recipes will rev up the morning with mouthwatering excitement. Kids won’t ask for that sugar-laden cold breakfast cereal ever again when their oatmeal is taken to the max. Check out these easy-to-prep recipes and give breakfast the star treatment. (Each recipe is for one bowl of oatmeal). For kids who like something savory before school, cheese is always ready to please. 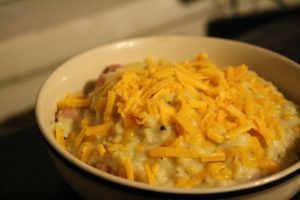 This bowl of easy cheesy oatmeal is so tasty and tangy. And for cheese lovers, this dish makes for a great lunch or dinner too. Here’s how to make a bubbling bowl. Prepare oatmeal as directed and swirl in remaining ingredients. Serve hot. Top with some extra shreds of cheese for garnish. If you want to sneak in some veggies, cooked chopped broccoli tastes great with the cheddar. The classic sandwich now comes in oatmeal form. Kids will love the sweet flavor and fun idea. Here’s how to make a bowl of the classic with a twist. Prepare oatmeal as directed and swirl in remaining ingredients. Top with crushed nuts and raisins if desired for texture. Serve up hot and watch ‘em eat it up! The comforting taste of banana bread is always a winner. Kids love the scent and savor the flavor. Bring the goodness of this old-fashioned recipe to your kid’s oatmeal bowl. Here’s how to make a bowl. Prepare the oatmeal as directed and mix in the rest of the ingredients. Serve hot with sliced bananas on top for an extra serving of fruit. Kids will go bananas for it! Your kids will be asking for oatmeal every morning. Take these ideas and whip up your own creative concoctions. For more recipes as well as informative and entertaining content for parents, stay tuned to All My Children’s blogs.